It will give Wales’ young people between 11 and 18 a completely new way to make themselves heard at a national level. It will empower them to raise awareness of, and debate the issues important to them. By participating in issue-based politics, our young people will get to experience first-hand how politics works and the direct effect it can have on their lives. What Will the Welsh Youth Parliament Look Like? 40 Welsh Youth Parliament members will be elected by a ‘First Past the Post’ system, returning one young person for each electoral constituency in Wales. Any oung person that lives in, or receives their education in Wales, between the ages of 11 to 18 will ber able to stand as a candidate for one of the 40 constituency seats. The remaining 20 seats will be elected by partner organizations to ensure the representation of diverse groups of young people. All 60 Welsh Youth Parliament Members will have equal status, with the same role and responsibilities in the Parliament. What Does it Mean to be a Welsh Youth Parliament Member? Welsh Youth Parliament Members will listen to young people in Wales and discuss with them what the Welsh Youth Parliament is working on. They’ll identify, raise awareness of and debate issues that are important to young people across Wales. Decide and lead on work of importance to them. Support other Welsh Youth Parliament Members. Engage with Assembly Members about the work of the Welsh Youth Parliament. Contribute to the work of National Assembly committees. 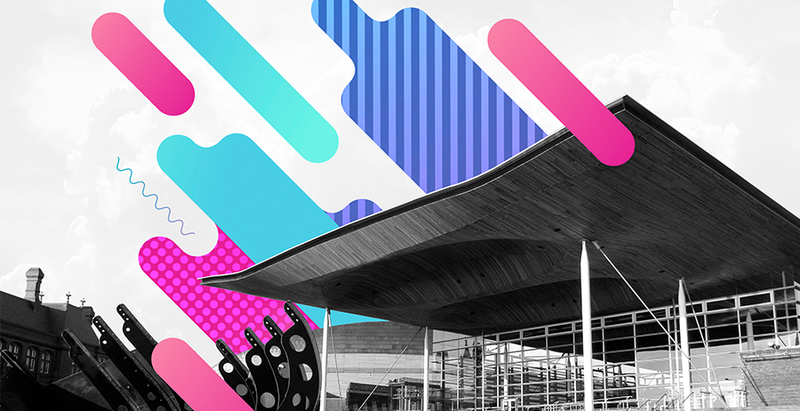 Help young people understand how the National Assembly for Wales and the Welsh Youth Parliament work and the impact they have on the lives of people in Wales. Meet together as a whole Welsh Youth Parliament three times over the two year term. Meet at regional level and at engagement events every 2—3 months. Shape the future of the Welsh Youth Parliament. Develop and increase the representation of young people in a positive way. These constituencies are arranged into four regions of Wales. Young people will meet regularly and work with other Youth Parliament Members from their local region. What Support Can Welsh Youth Parliament Members Expect From the National Assembly of Wales? 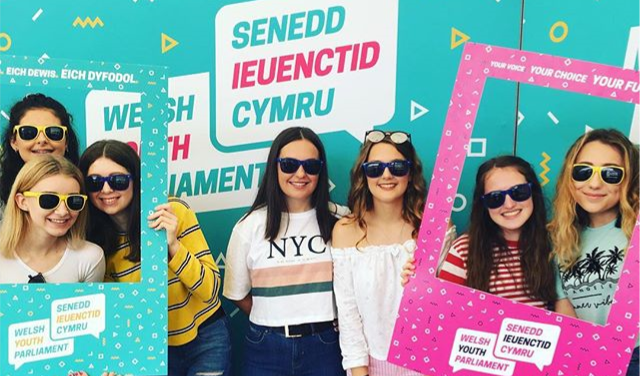 Welsh Youth Parliament members will be allocated a member of staff from the National Assembly for Wales during their time at the Welsh Youth Parliament. This member of staff will provide support ande guidance and will be a contact point for any help or advice about the Welsh Youth Parliament. They will also give Welsh Youth Parliament Members regular updates and provide information about upcoming meetings and events. It will provide information for the parents or guardians of Welsh Youth Parliament Members about their role in the Welsh Youth Parliament. It will provide support and information for schools and youth organisations about their role in the Welsh Youth Parliament. It will cover any costs Welsh Youth Parliament Members incur related to their work with the Welsh Youth Parliament, such as authorised travel, accommodation, food or the cost of attending activities arranged by the National Assembly for Wales. It will provide transport options for Welsh Youth Parliament events arranged by the National Assembly. It will provide relevant and useful training on what the National Assembly is. It will provide clear guidance and training on policies which all Welsh Youth Parliament Members will need to follow, including social media, equal opportunities, child protection and safeguarding. Welsh Youth Parliament Members will receive full training and guidance on any work they are asked to undertake for the Welsh Youth Parliament, including research training, public speaking, debating skills, using social media, safeguarding and anything else that is deemed appropriate. It will provide support to Welsh Youth Parliament Members for their own personal development and development of their role in the Welsh Youth Parliament to help them do the best they can. BEING A WELSH YOUTH PARLIAMENT MEMBER IS A FANTASTIC OPPORTUNITY FOR YOUNG PEOPLE AGED 11 – 18 ALL OVER WALES. The National Assembly for Wales will expect all Welsh Youth Parliament Members to follow and uphold the Code of Conduct. If it isn’t upheld, there will be a fair investigation into their behaviour and any allegations made before deciding on what consequences there will be. A detailed version of the Code of Conduct will be issued to all Welsh Youth Parliament Members once elected. Attending all official Welsh Youth Parliament meetings. Reporting any concerns or issues to appropriate staff members. Using social media appropriately and within the National Assembly for Wales guidelines. Respecting the political impartiality of the Welsh Youth Parliament. Respecting other Welsh Youth Parliament Members, National Assembly for Wales staff, Assembly Members and any external groups / individuals you come into contact with. Abiding by the law at all times and not carrying out any unlawful activities whilst participating in Welsh Youth Parliament business. Behaving in a way which does not bring the National Assembly for Wales into disrepute. What Commitment is Expected from Young People? EVERY TERM OF THE WELSH YOUTH PARLIAMENT LASTS FOR TWO YEARS SO YOUNG PEOPLE WILL BE EXPECTED TO TAKE PART IN WELSH YOUTH PARLIAMENT ACTIVITIES DURING THAT TIME. All 60 Welsh Youth Parliament Members will meet as a whole group three times during their two-year term. In between, they will work in their regional areas, meeting with and discussing issues with other local Welsh Youth Parliament Members. They will also work with other young people in the area and go to events organised at times and dates that suit all Welsh Youth Parliament Members from that region. What Role Can Schools and Youth Organisations Play in Supporting the Welsh Youth Parliament? THE BASIS FOR THIS PUPIL / STUDENT / YOUNG PERSON VOICE, WHICH IS ALSO AT THE CENTRE OF THE NEW CURRICULUM, IS FOUND IN ARTICLE 12 OF THE UNITED NATIONS CONVENTION ON THE RIGHTS OF THE CHILD (UNCRC). This sets out the right of children and young people to express an opinion and to have that opinion taken into account when decisions are being made on any matter that affects them. To encourage as many young people as possible to get involved in the work of the Welsh Youth Parliament, the National Assembly’s Education and Youth Engagement team welcome the support of schools, colleges and youth organisations in Wales to encourage young people to engage with the Welsh Youth Parliament. Our hope is that young people of different ages, genders, socio—economic backgrounds, abilities and ethnicities, from all parts of Wales will in some way participate in the work of the Welsh Youth Parliament, either by registering to vote, by standing for election, by voting during the election or by interacting with Welsh Youth Parliament Members on issues that are important to them. Schools and youth organisations can contact the National Assembly for Wales’ staff responsible for the Welsh Youth Parliament to request an information workshop for young people. This workshop will be provided free of charge and will provide information about the Welsh Youth Parliament for young people and how they can stand for election. Invite Welsh Youth Parliament Members to school or youth group events and activities. The National Assembly for Wales will provide downloadable resources, social media content, posters, leaflets etc. 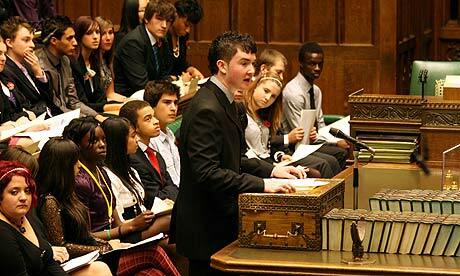 for schools and youth organisations to help with the promotion of the Welsh Youth Parliament. You can request these materials by emailing hello@youthparliament.wales. Schools and youth organisations can find out more by visiting www.youthparliament.wales. Can a Young Person From My School or Youth Organisation Stand for Election? 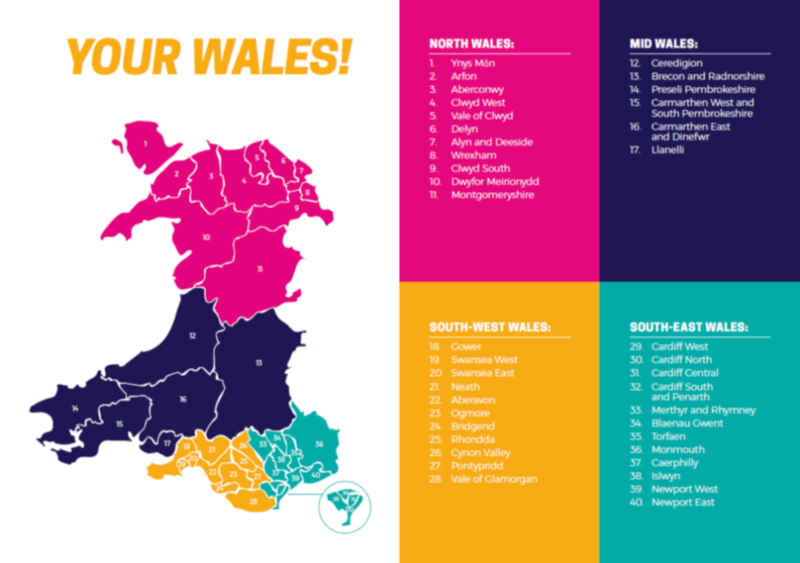 ANY YOUNG PERSON BETWEEN THE AGES OF 11 – 18 LIVING IN OR RECEIVING THEIR EDUCATION IN WALES CAN NOMINATE THEMSELVES AS A CANDIDATE FOR ONE OF THE CONSTITUENCY SEATS. Those young people who are eligible to stand at the election are able to stand as a candidate for one of the 40 constituency seats, and as one of the candidates returned by an official partner organisation at the same time. If a candidate gains the most amount of votes for one of the 40 constituency seats and is the preferred candidate returned by an official partner organisation, the choice will lie with that candidate as to which seat they choose to occupy. The relinquished seat will either be allocated to the candidate who obtained the second highest number of votes in that constituency, or to the official partner organisation who will then return another candidate. It’s important to note that candidates must be aged at least 11 and be no older than 17 on the last day of the election on 25th November 2018. For the constituency seat, candidates will need to complete an application form, which can be found on our website at www.youthparliament.wales. Applications open on 3rd September 2018 and close on 30 September 2018. Applications will NOT be accepted after this date and NO exceptions will be made. The form will take about 15 minutes to complete. Prospective applicants will need to read the introduction and if they are under the age of 16, they will have to confirm they have parental / guardian permission to apply. Applicants will also need to provide a short biography about themselves. This should be no longer than 200 words. It should cover why they would be a good Welsh Youth Parliament Member and the three issues that are most important to them. The issues need to be things devolved to Wales. For example health, Welsh language, youth provisions, the environment etc. More information about what is devolved to Wales can be found on the National Assembly website at www.assembly.wales/powers. Once the online application form has been successfully completed and the information has been verified, applicants will then be sent an Information Pack. This will tell them everything they need to know about standing for election to the Welsh Youth Parliament. The remaining 20 seats will be returned by partner organisations. 20 OF THE 60 WELSH YOUTH PARLIAMENT MEMBERS WILL BE RETURNED BY PARTNER ORGANISATIONS TO ENSURE THE REPRESENTATION OF DIVERSE GROUPS OF YOUNG PEOPLE. Any organisation, of any size, from any part of Wales can apply to become a Partner Organisation. Organisations wanting to become an official Welsh Youth Parliament Partner will need to apply in writing by 2nd July 2018, and will be considered against a set criteria. Guidance on becoming a Welsh Youth Parliament Partner Organisation and an application form can be found the Welsh Youth Parliament website at www.youthparlaiment.wales. 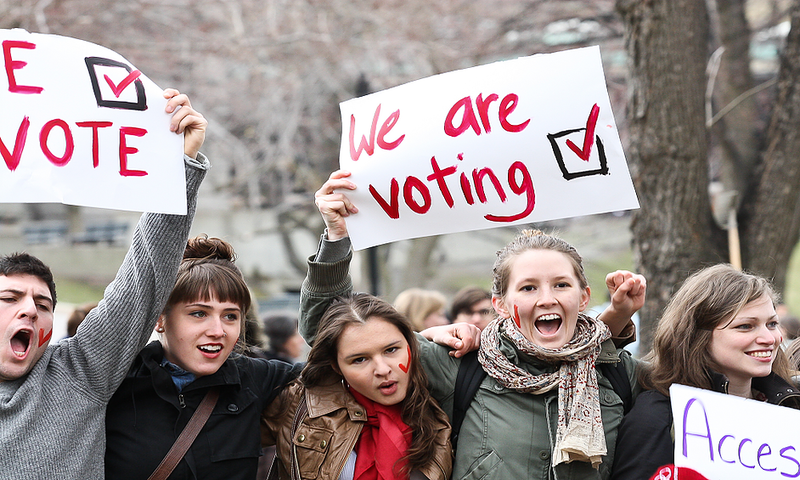 How Can Schools and Youth Organisations Help Young People to Register to Vote? It’s a good idea to make sure that all school or youth organisation staff are aware of the upcoming Welsh Youth Parliament elections. Use Welsh Youth Parliament promotional materials to raise awareness. Schools and youth organisations can contact staff from the National Assembly for Wales for information and materials as required. Organisations can also arrange events to promote voter registration, for example, lunchtime voter registration stands. Here at Crickhowell High School, we have been very much involved in the steps leading to the final creation of the Welsh Youth Parliament. As long ago as 2015, our student Caitlin Smith was a member of the Powys Youth Forum and spoke on behalf of young people in the Houses of Parliament in London in November that year. Caitlin was one of 279 young people aged 11 – 18 who took part in a debate at the Houses of Parliament. The House of Commons debate, chaired by the speaker, the Rt Hon John Bercow MP, was extremely lively and heartfelt. Powys Youth Forum’s Caitlin gave a personal insight into her thoughts on the ‘Living Wage’ being made available to 16 year olds. Caitlin explained that it cost her Dad more in petrol to drive her to her Saturday job than she actually earned. She also reminded the Members of Youth Parliament about their roles as elected representatives. 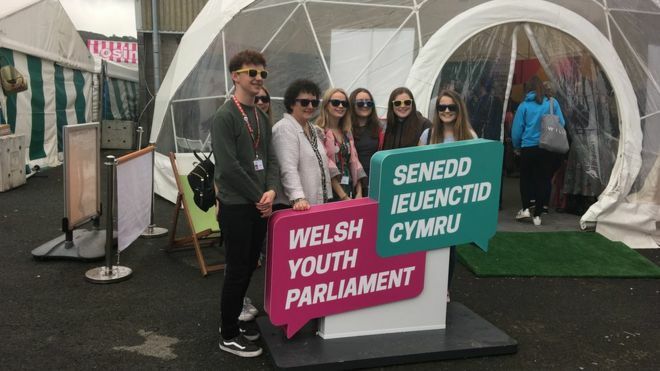 Over 2,300 young people in Powys voted for the issues that they felt should be spoken about in the Commons Debate with almost 970,000 votes received across the UK to decide the top five issues. Topics debated included mental health services, racial discrimination and the Living Wage. Cllr Phil Pritchard, Powys County Council’s Cabinet Member for Local Democracy, said: “Caitlin and the rest of the Youth Forum members worked extremely hard to gather the ballots of young people in Powys, to make sure as many views were represented as possible. It is fantastic that our county Youth Forum continue their important work and represent young people of Powys on a national platform. Racism and religious discrimination was chosen as the issue for the national campaign for 2016. Immediately after the debate, each Member of Youth Parliament wrote to their Member of Parliament asking that they get in contact to take forward this issue on 22 January 2016, which was the planned ‘Call to Action’ day. The following links are for a range of publications that take you through everything you need to know about the Welsh Youth Parliament, the voting proces and how to stand for election.